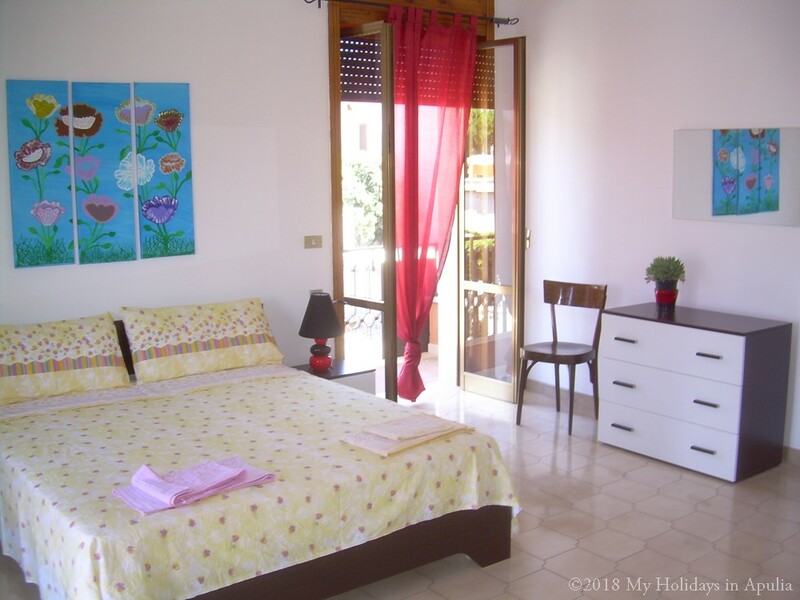 The 4 bedrooms Amandine apartment is situated in Aradeo, a friendly small town, between the rocky Adriatic and the sandy Ionian coast. This 1st floored cosy apartment boasts four wide bedrooms. It comfortably gives lodging up to eight (8) guests, and two bathrooms, one with shower and one with bathtub. What is more, there is a bright cloister, ideal as game-room for children, a wide sitting-room and from the well catered kitchen it is possible to go upstairs, where, in front of the laundry, on the roof terrace our guests can relax or enjoying the BBQ. In May and June, to rent Amandine apartment is € 120 per night (€850 for one week). The price is all inclusive (gas, water, weekly change of bed linen and towels, cleaning at the end of the stay. Electricity is € 0,35 x kw). It is possible to rent Amandine apartment for no less than three nights up to 28 nights. In July and August, the total cost for renting Amandine apartment is € 150 per night (€ 1050 for one week stay).